Sep 7th – Rehearsal with RTÉ Orchestra – RTÉ Studios Dublin Read More…..
Sep 11th – NEW MEMBERS NIGHT!!! Click For more information…. Oct. 12th – Mental Health Concert-7:30pm-St. Mary’s Cathedral, Limerick Read More…..
Oct. 14th –Annual Mass for Deceased -11am Our Lady of the Rosary Church, Newmarket on Fergus, Co. Clare Read More…..
Dec. 8th – Christmas Concert with ULO – Karl Jenkins Armed Man (A Mass for Peace)-UCH-8pm Tickets…. Jan. 9th – Rehearsals resume. Jun. 7th – Limerick Sings Concert Redemptorist Church More info…. 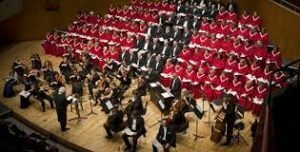 A must for all Mozart lovers, Limerick Choral Union (LCU) returns to UCH with a rare performance of Mozart’s fascinating “Mass in C Minor”. Considered Mozart’s greatest work, it has never before been performed in these parts. This great Mass will be followed by the extraordinary “Requiem”. Mozart’s boldness and ingenuity is portrayed in the great Mass with performances by four beautiful soloists accompanied by a positively sumptuous orchestra, and the amazing LCU choir who, on occasion, is divided further into two choirs! The sublime “Requiem” is full of grandeur and like all great Mozart, has an expressive depth that forces all to delve beneath the surface for startling emotional richness, condensing a vast realm of feeling into less than an hour! Make the Mozart journey in great comfort with LCU and hear Mozart at his best. J. S. BACH: Mass in B minor, Dona Nobis Pacem performed by Limerick Choral Union and Orchestra. 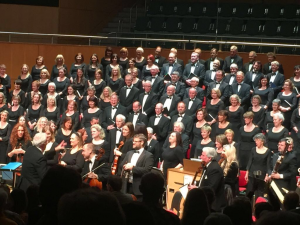 Limerick Choral Union is one of the longest-established choirs in the city of Limerick and celebrated its 50th anniversary in 2014 with a magnificent Gala Ball. Since its foundation in 1964, LCU has maintained its endeavours to encourage new talents into the choir and to continue to perform the best and most exciting choral works to its audience, under the musical direction of Malcolm Green. LCU sees itself as an ambassador for Limerick, promoting its talents locally, nationally and internationally. The choir has toured and performed in France, Bulgaria, Poland, Slovenia, Italy and England. The choir has collaborated with many other choirs and over the years it has entered numerous competitions winning the Best Limerick Choir award in 1997.